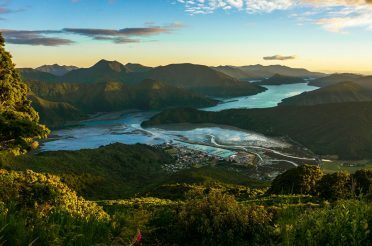 We’ve put together a 7-10 day adventure itinerary for the top half of New Zealand's South Island. 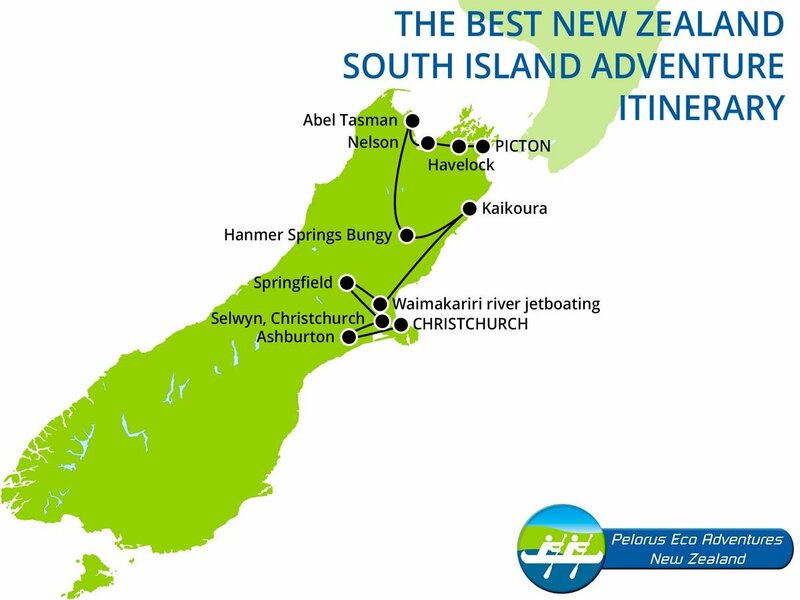 It’s laid out for those arriving to the South Island either by ferry from Wellington, or flying into Nelson or Blenheim, finishing in Christchurch. However, you could just as easily do it in reverse! 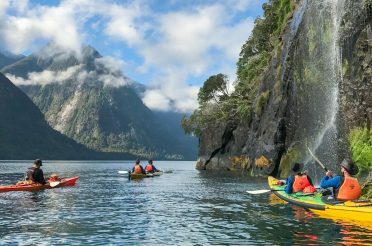 If you have your own means of transportation, and a bit of time to play with, there’s no better place to be as an adventure traveller than in New Zealand’s South Island. However, a lot of people simply make a beeline for Queenstown, meaning they miss a lot of incredible stuff along the way. 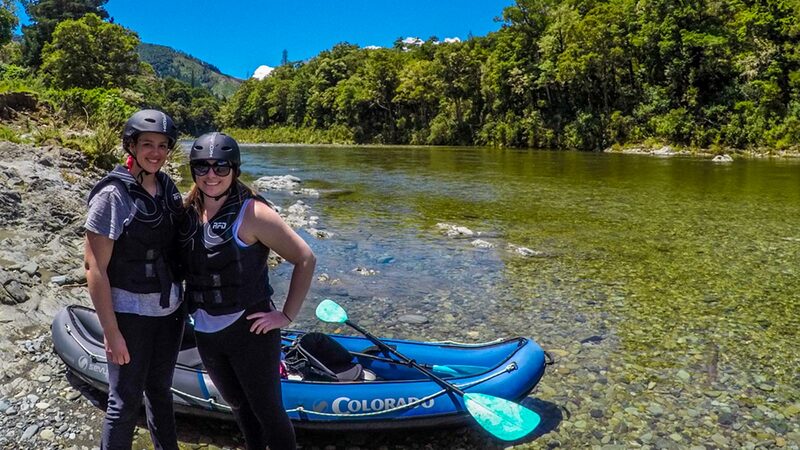 Kayak New Zealand’s most beautiful river, the pelorus, with experienced guides who also give some expert insight into the native flora and fauna surrounding this stunning stretch of water. This is the spot Sir Peter Jackson chose to film the dramatic dwarf barrel-escape scene in The Hobbit: The Desolation of Smaug, and you instantly see why the lush forest, pristine water and rocky gorges were deemed film-worthy. 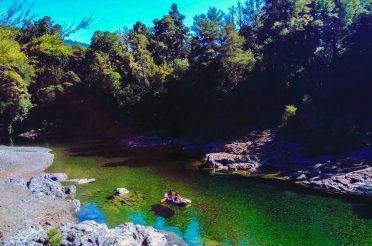 Pelorus Eco Adventures run their famous Hobbit Kayak Tour twice daily, from 9am or 2pm, so if you take the early ferry to Picton you can be having a coffee on Cuba street in the morning and barrelling down the river in the afternoon! Ziplining is a thrilling ride for adventure travellers of all ages, confidence levels and abilities. Situated just off the main road between Havelock and Nelson, Happy Valley Adventures is one of the best places to try ziplining in New Zealand's South Island, and a unique experience in the world. 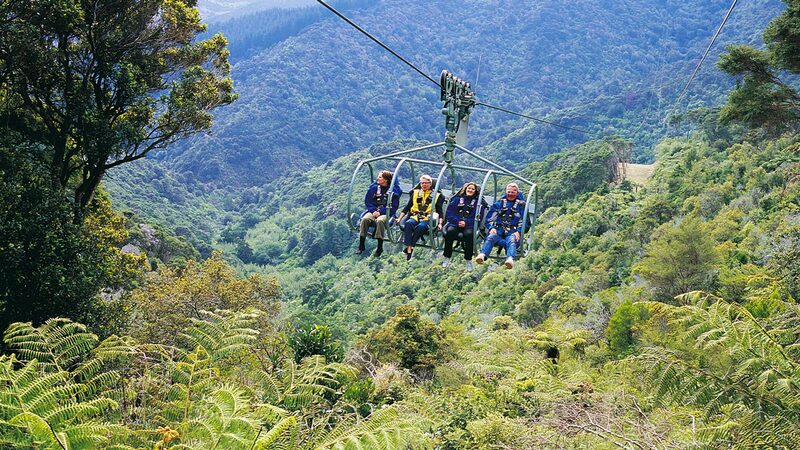 Here you can enjoy the world’s only Skywire flying fox, zipping at almost 100km/h for a mile over lush New Zealand forest and gorgeous panoramas over the hills towards the sea. Abel Tasman National Park is full of natural highlights, and its golden sand beaches, pristine turquoise waters and spectacular mountain hiking trails are known around the world. To see this South Island jewel in a unique way, though, Abel Tasman Canyons is a great choice. By swimming, walking, abseiling and scrambling you get into all the nooks and crannies Mother Nature carved out in Abel Tasman National Park. This is a place you can get in touch with your inner child, rock-hopping and exploring and getting an adrenalin rush from the achievement afterwards. 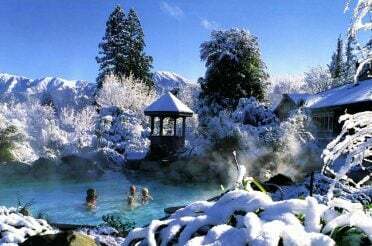 Most people know Canterbury’s Hanmer Springs, unsurprisingly, as a thermal spa resort. 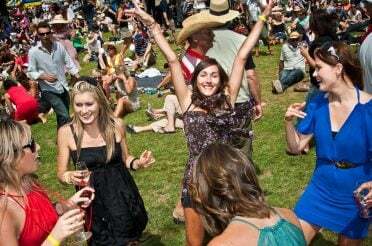 Of course it’s great for that too, at this point in your South Island adventure. It’s also somewhere with an awesome bungy jump opportunity. 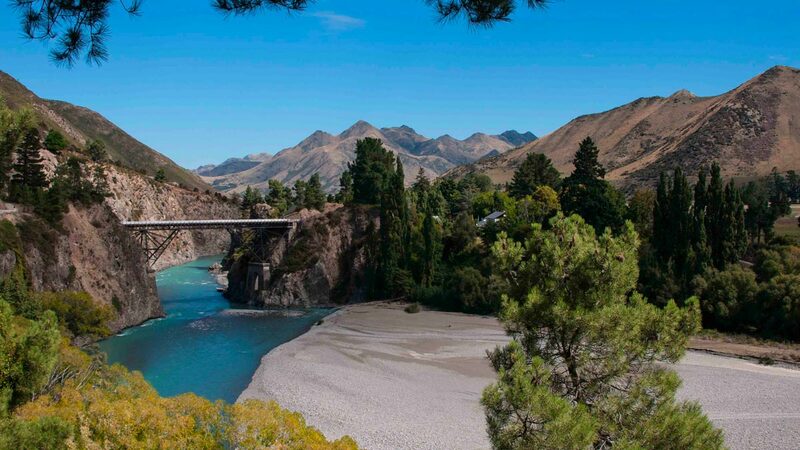 You won’t find the same crowds you’d get for bungy jumping in Queenstown, but Hanmer Springs Bungy offers just as much of an adrenalin rush with this exhilarating leap of the historic Ferry Bridge, right near the entrance to Hanmer Springs resort. Just outside the charming seaside town of Kaikoura you’ll find a heckuva downhill ride at Fyffe View Ranch Adventure Park. 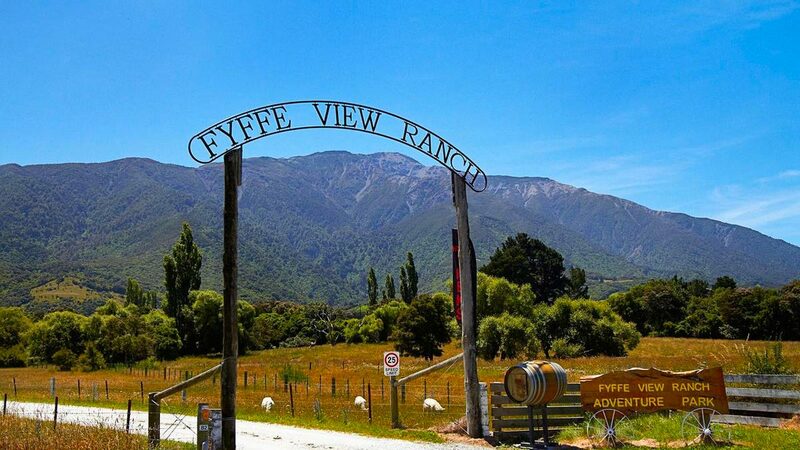 As well as having lots of animals to pet, feed and watch (this is a great way to entertain little ones and give them something to look forward to on a South Island road trip), Fyffe View Ranch Adventure Park offers kids of ALL ages great fun on their downhill buggy rides. No experience is needed, and you can choose half hour, one hour or two hour versions of this entertaining way to bomb through lush native forest, farmland and riverbeds. 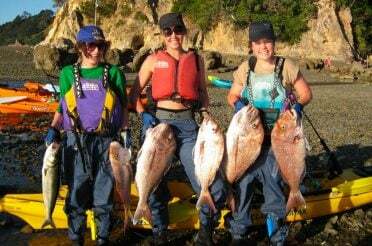 No serious adventure traveller to New Zealand would consider missing out on a thrilling jetboat ride. The Hamilton jet was invented in New Zealand, and the South Island’s rivers have proved better suited to exploit its possibilities than almost anywhere else on the planet. 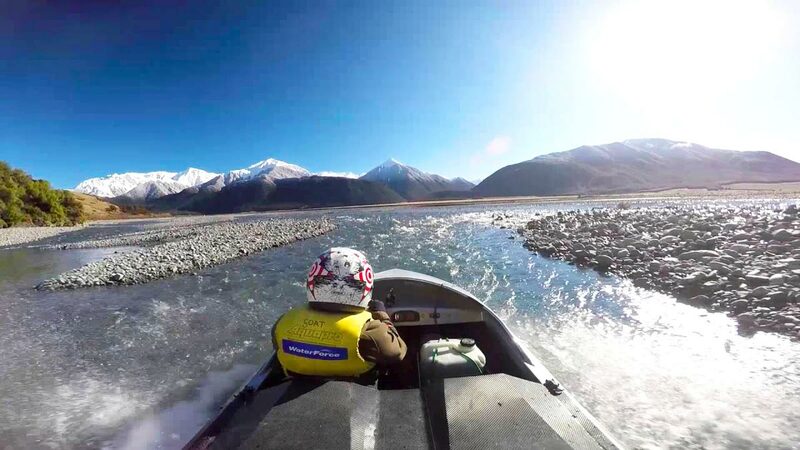 Just an hour outside Christchurch, Waimak Alpine Jet offer one of the best jetboating trips in New Zealand. You get amazing photo opportunities as you whiz towards the foothills of the mighty Southern Alps through the Waimakariri river canyon. Of course, a 360° Hamilton spin is guaranteed. 7. Springfield. 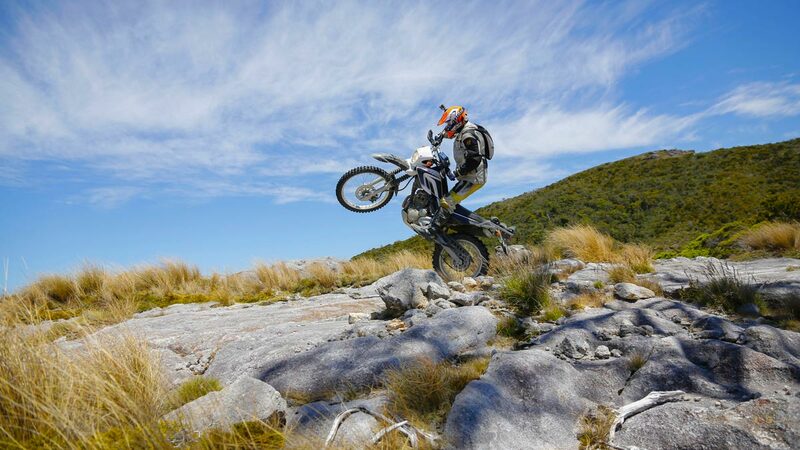 Adventure Trailrides for quad bike and dirt bike tours. While you’re in the area of Springfield, have a blast at Adventure Trailrides. They will sort you out with a dirt-bike (motorbike) or ATV quad bike and guide you on some pretty impressive trails, from high country farms to untouched beaches, braided rivers to stunning alpine mountains. Adventure Trailrides run their tours all year round, and they even do multi-day tours if you’re really interested. 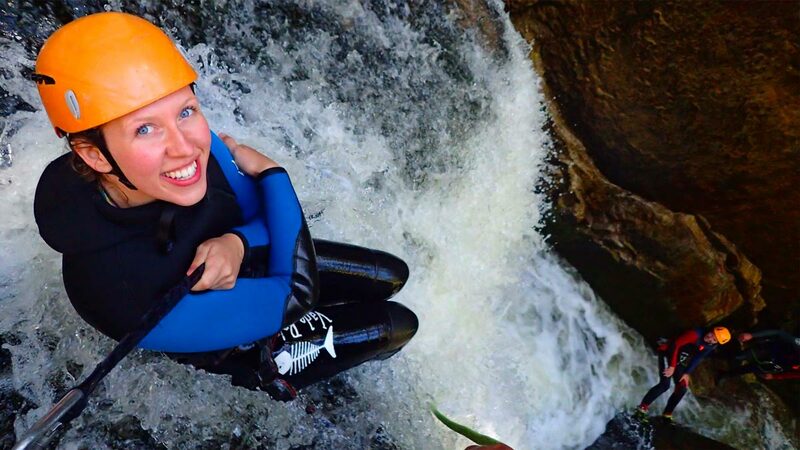 If you’ve got time to play with, we recommend stopping off at Southern White Water on your way into Christchurch, or targeting them for one of your days’ adventure activities while staying in Christchurch. 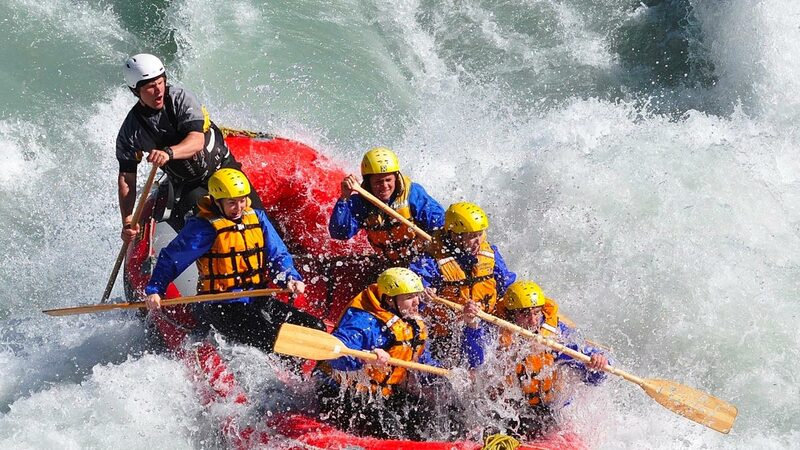 Their white-water rafting day trips take you to some of Canterbury’s most iconic locations, including the Hurunui river and Lake Sumner Forest Park. 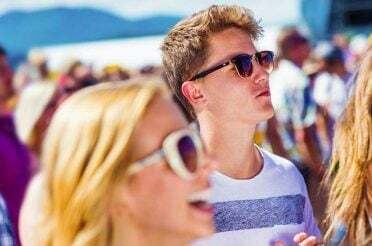 Their tours range from easy-going family rafting trips to total white-knuckle jobs for the ultimate thrill-seekers. 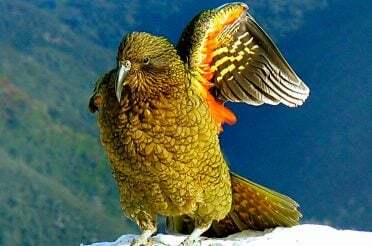 Arguably saving the best til last, Skydiving Kiwis operate an absolutely unforgettable South Island skydiving service. 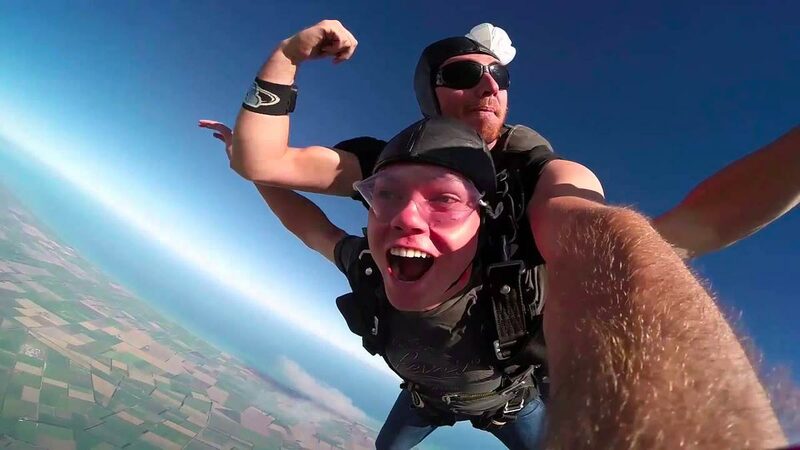 Just an hour south of Christchurch on the main road, you’ll feel like you’re in your own world freefalling at 200km/h over the famous patchwork of the Canterbury plains. The views from the plane ride up aren’t half bad either, and you have a bit more time to take them in.